Amaya Gaming has sold its Chartwell and Cryptologic software divisions to NYX Gaming Group for C$150m (US $119m), capping off the Canadian gaming firm’s strategy of ridding itself of its B2B operations. 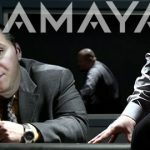 On Thursday, Amaya announced it had reached a deal with NYX to sell 100% of the shares in Amaya’s software operations, which boast around 300 game titles. The two software outfits reported revenue of $17.4m and an earnings loss of $7.8m in the 12 months ending Dec. 31, 2014. 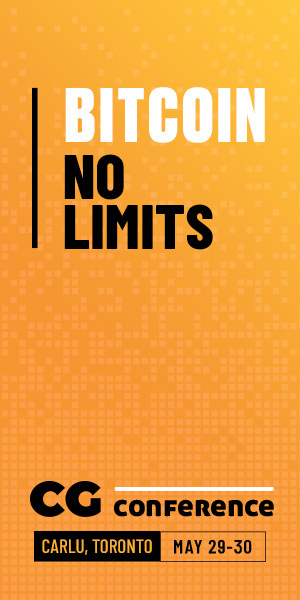 The new expanded NYX game library will now consist of around 650 titles. The deal contains a plan to enter into a six-year preferred supplier licensing agreement via which NYX will provide certain casino gaming content to Amaya’s PokerStars and Full Tilt websites. Amaya has committed to paying NYX a minimum of $12m per year in each of the first three years of the deal. The software sale is expected to close before the end of Q3 2015. 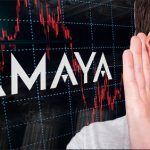 As with its previous B2B dispositions, Amaya intends to use the proceeds to either pay down debt or repurchase its own shares. Amaya sold its Cadillac Jack gaming device operation to American Gaming Systems last week, shortly after announcing plans to spin off its Diamond Game Enterprises lottery business via an initial public offering. 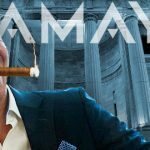 Amaya previously sold its Ongame poker network to NYX in November, while simultaneously taking a $10m ownership stake in NYX. The parties are also linked by their relationship to Atlantic City’s Resorts Casino Hotel. 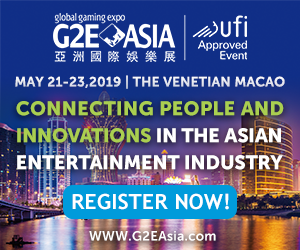 NYX is part of the SNG Interactive joint venture currently providing Resorts with online casino content while PokerStars is awaiting New Jersey regulatory approval before launching Resorts’ online poker offering. 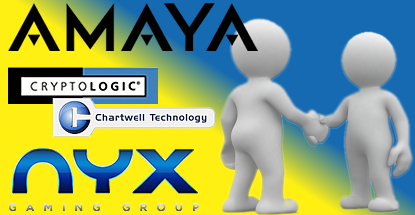 Amaya paid $23m to acquire Chartwell in 2011, adding Cryptologic the following year for around $36m. 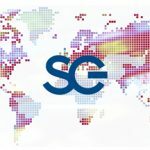 The acquisitions, which were quickly followed by the $15m deal for the Ongame network, telegraphed Amaya’s intention to become a major player in the online gambling space. 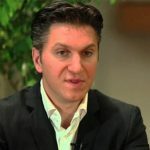 That intention reached its zenith in June 2014 via Amaya’s blockbuster $4.9b deal to acquire the Rational Group, the parent company of PokerStars and Full Tilt.